This week was a bit sad weather-wise until I was out of work, and then it improved significantly! I still remember sitting at lunch on Wednesday telling people we were going to grill that evening. Everyone laughed at me (because it was pouring buckets outside). Then closing time rolled around, and what do you know!? Sunny and gorgeous in the 60’s–perfect grilling weather! So for those of you grill-challenged (I’m honestly included in that bunch)–I’ve included the grilling instructions. 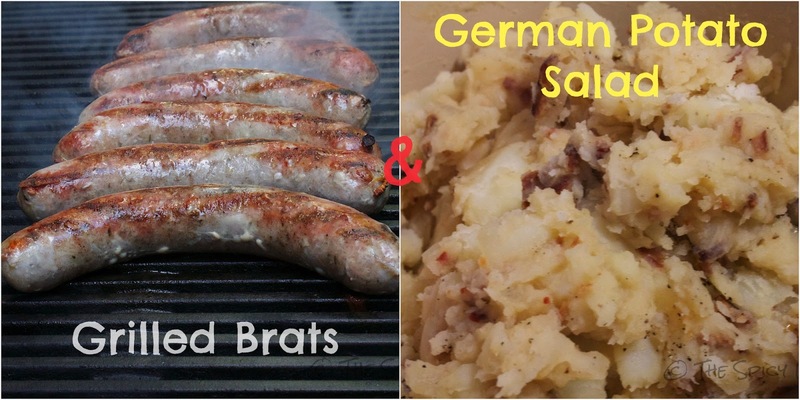 The mainstay in this post though is definitely the German potato salad. This is rather untraditional for most as it’s actually served warm. That makes this meal the perfect “one container” leftovers to take to work the next day! Sometimes, believe it or not, that isn’t the case. At all–(our all-time record high is five containers). Boil the potatoes in water until just tender, then drain and slice. 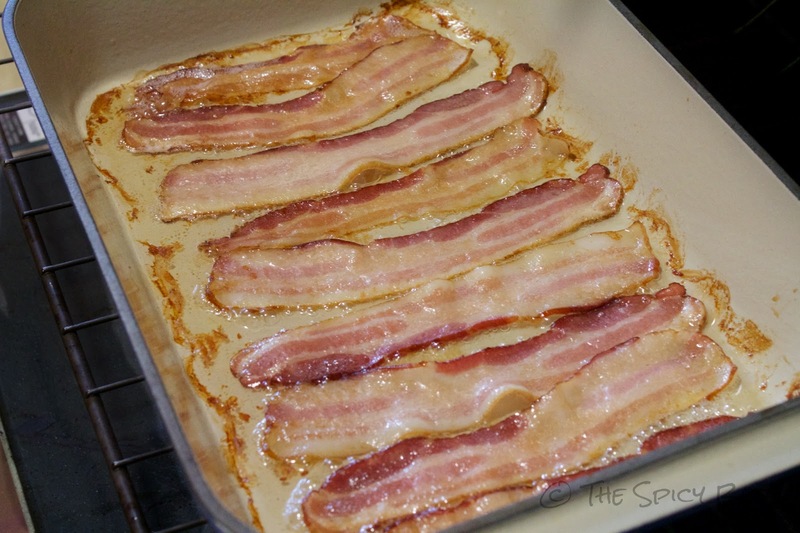 Meanwhile, prepare the bacon either on the stove or in the oven (we do oven, 10 minutes per side at 350° F). Drain the grease, pat the bacon down, and cut or crumble into small pieces. 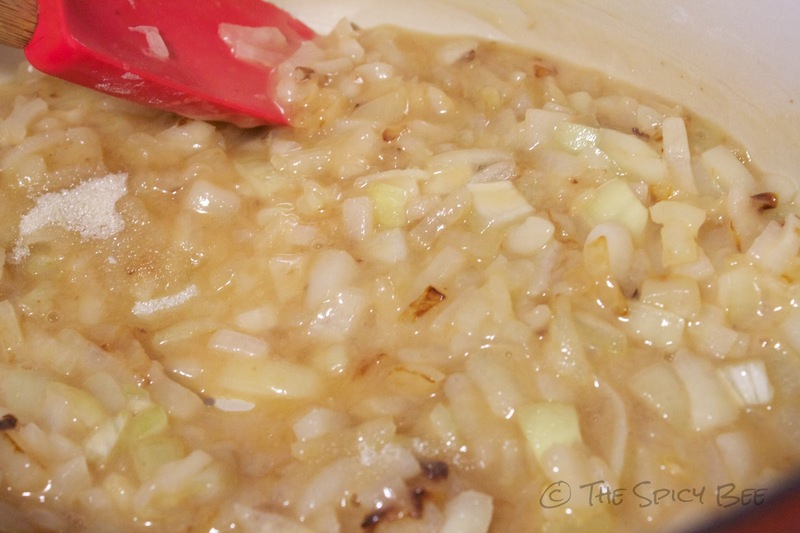 Put the two tablespoons of bacon grease into a large pan and cook the onion until near translucent. Turn down the heat, and add in the vinegar, water and flour, mixing and warming until the mixture thickens. Add the sugar and mix until it dissolves. Now incorporate the potatoes and bacon into the mix and stir well. Grill brats for five minutes on each side over direct heat, then three minutes over indirect heat. How do you feel about potato salad? This looks easy and delicious! I’m not normally a potato salad (ok -never-) fan – but this one looks pretty different! Happy Friday! Looks delish! 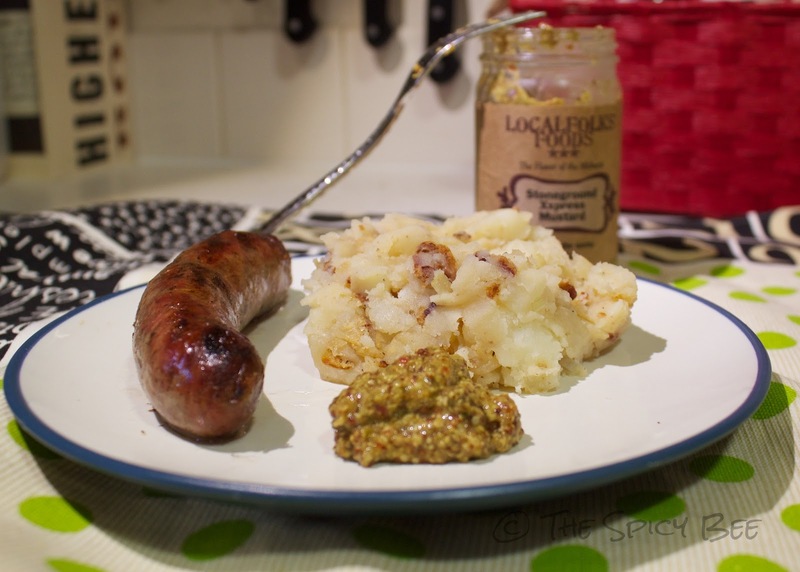 Agh… there is a local mustard maker that I love and I cannot think of the name to save my life. If I ever do then I’ll let you know… it is delish!